As the Free Tibet march progresses downward from the mountain top, I find myself overwhelmed and chatting to Cindy Travis, a retired bicycle tourist and veteran sister of the road. Cindy saw the world for 8 years from the saddle. I had a chance to ask Cindy if she missed bicycle touring. “Sometimes” she said loudly over the intense energy of the Free Tibet March taking place in Mcleod Ganj, India, home of the Dali llama. What about life on the bike, do you miss? 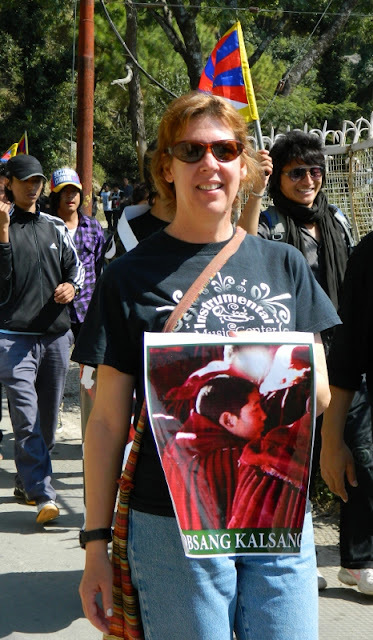 “The wind on my cheeks”, she hollers as the group of 100’s, make their way past the Tibetan government in exile compound. Do you still have your bicycle? I wondered. “Nope, she smiles, sold that one week after the divorce papers were signed”, the air of freedom permeates throughout the hills as we carry on forward amongst a chorus of “We want freedom…no more repression…”. What has 8 years of bicycle touring taught Cindy? Cindy’s Buddhist philosophy shines as she speaks about attachment, “…material possessions don’t mean a whole lot anymore although I do love my new book collection”. 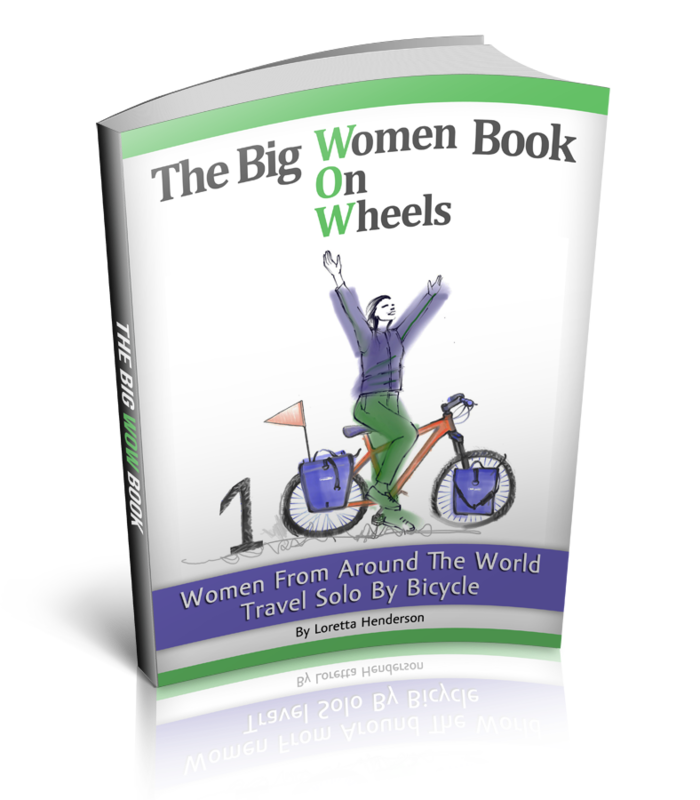 Cindy pedaled the world for 8 years with 2 books, her collection now rounds out at about 62. Cindy explains what most of us bicycle travelers have learned as well, “…while bicycle touring around the world I was more often than not embraced with overwhelming kindness, I just want to give back now”. Cindy works as a volunteer geologist for the Tibetan government in exile, is writing another book, is mentoring 2 Tibetan youth, meditates daily, walks 5-10km a day and was recently blessed by the Dali Llama. I someday hope to find such peace and happiness in my bicycle touring retirement. Special note: 7 monks in the last few weeks have self immolated, setting themselves on fire in monasteries’ throughout Tibet. 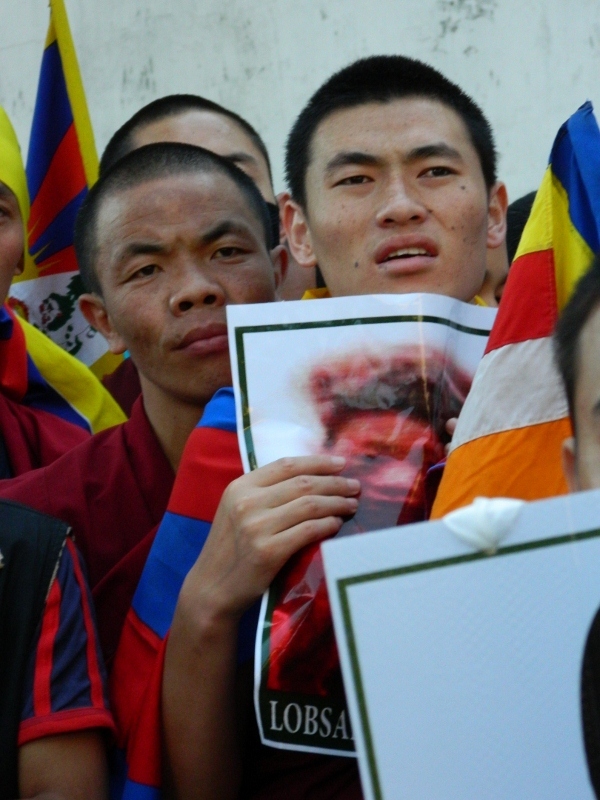 The Tibetan people have entered a crisis period and there are weekly marches and candle light vigils in Mcleod Ganj and throughout India to raise awareness of the ongoing human rights violations of the Tibetan people in China. Brilliant to hear Cindy's found an enriching path and hope she is rewarded with fulfilment for her efforts. Good to see two strong women meeting in such a remarkable setting. Hope you shared lots of smiles! We can only hope to find a path that suits us, and then make the world a bit better daring to go down it. I'm inspired to see that two women have done just that. Thanks for sharing Loretta. Not the only way to it though.